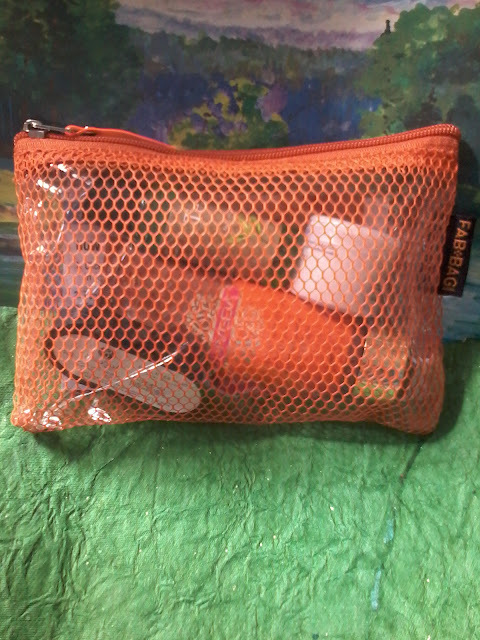 Today I am going to review May Fab Bag . As we all know Fab Bag is a Beauty Subscription plan for India which sends some 4-5 beauty products every month in a cute bag . 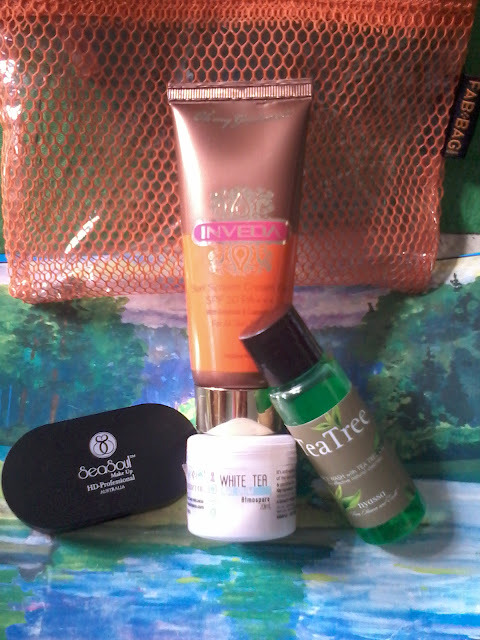 I got my bag yesterday so I want you to have a look on products they have send this month . 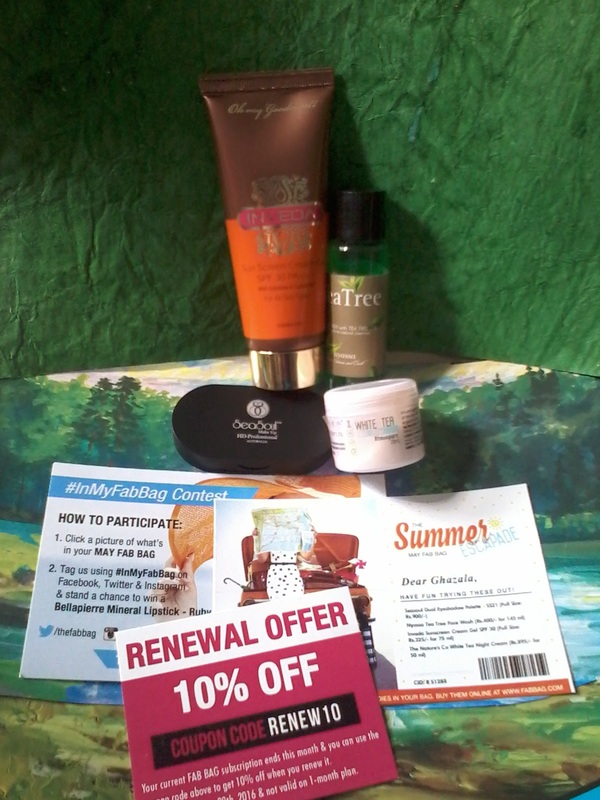 1.Renewal offer card for next purchase or subscription at Fab Bag. 2.A card containing all product details and price . 3.One card about their Facebook contest . All the products send this month are good . This month bag has two full size products and two sample size products . 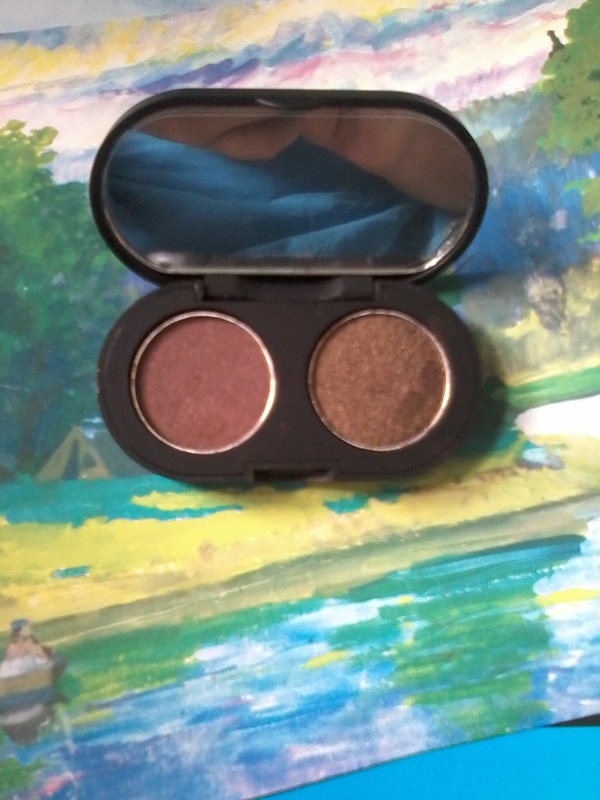 The first two products are full sized and next two are sample sized . The product of this month Fab Bag are Themed as Summer Escapade . They had send a good sunscreen , face wash and night cream suitable for this season . The total price of all 4 products comes around 1200/- and the fab bag is priced 599/- . Overall I liked this months Fab Bag . All the products are good , the contents are perfect for summer season . 4 excellent products with a cute bag is too good at a price half then the price of products . Hope you all enjoyed reading this post and found it useful .